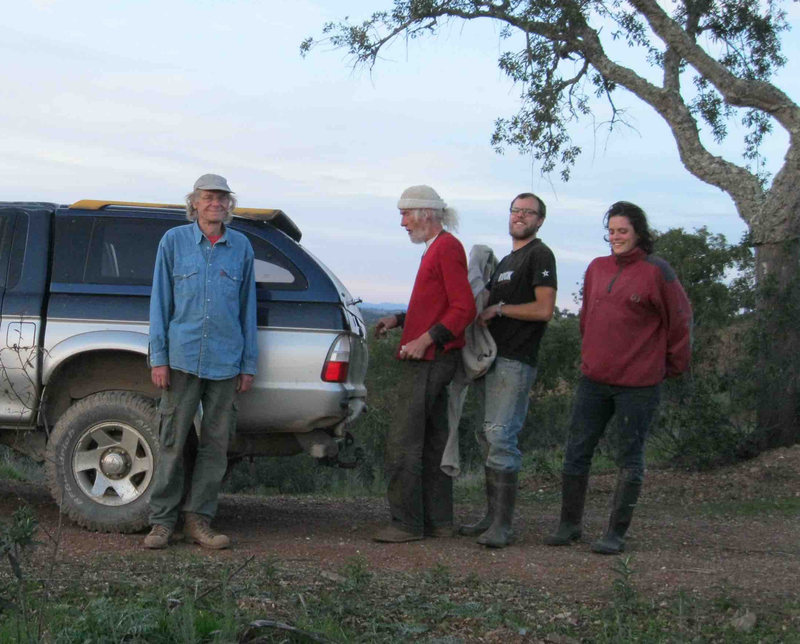 Saturday we visited a grower in Monchique and loaded our pickup truck up there with young fruit trees of many local varieties. 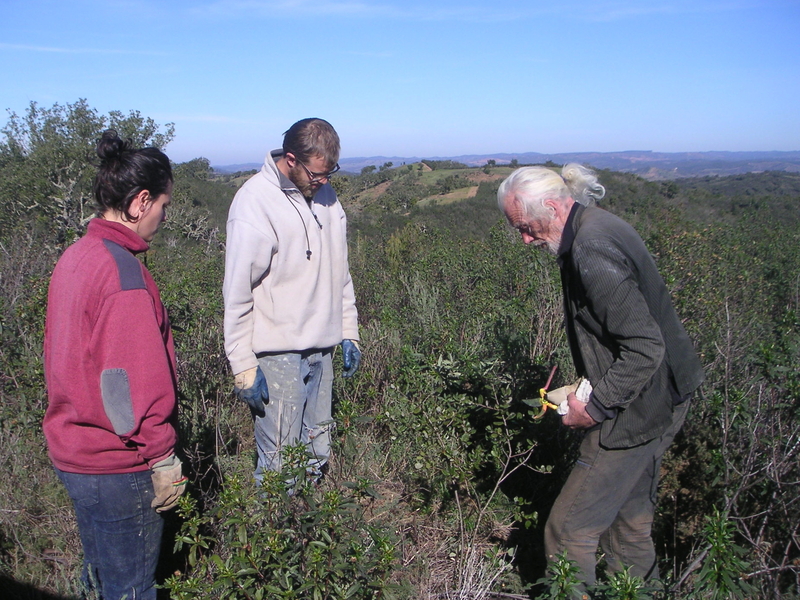 And also blueberry bushes and black currant to plant in the cork oak forest. Today we continued planting and seeding oaks and medronho, and equally important, pruning and weeding around existing trees. It was day 5 and the end of the tree planting project but life is good in nature and we will go on with this until all our young plants and trees are in the ground. Today we started the tree planting project on our land. Peter showed us how to dig a hole much deeper than the length of the root. This way the tree can quickly form a deeper tap root in the coming winter months, and have a better chance to survive the next dry summer season. Today we planted thirty tiny cork oaks, only one year old. They will take about 25 years to grow into a big tree. Fortunately birds and other animals have also planted trees over the years, like the young cork oak in this picture. 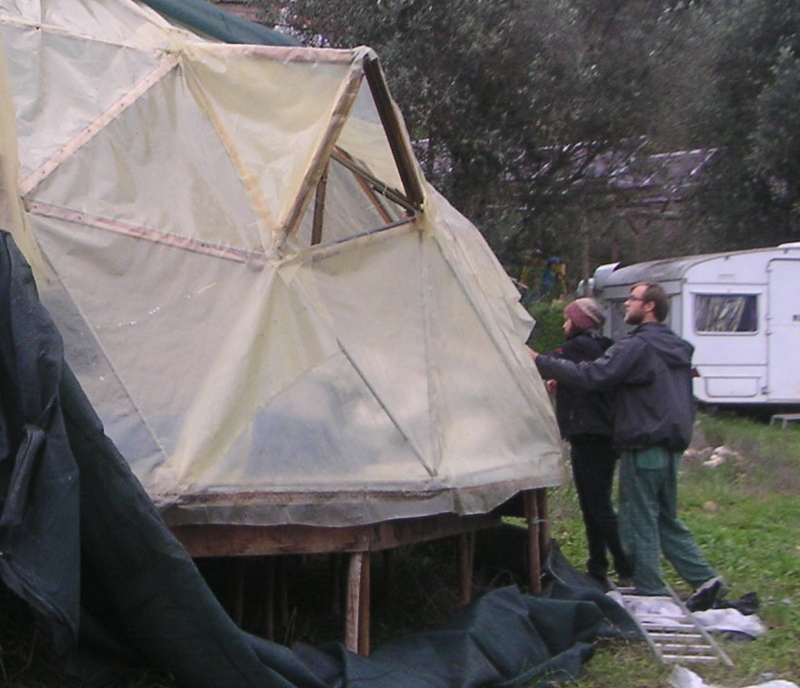 The greenhouse materials on our garden and storage domes are storm proof and 99 % water proof, but for a shelter dome that is not good enough. In our latest attempt to keep it 100% dry Veronika and Raphael (from South Tyrol) are repairing one layer of foil and adding another. Next week you can try the result, and by the way, join our tree planting project. We will learn about the Permaculture way of planting, respecting the existing eco system. Under guidance of Peter Zin. Call or mail if you want to join. Only a few places available.